Welcome to the lucky charm exchange, everything you need to know & want to know is listed below, it’s such fun to put together a parcel who knows your situation, someone you can relate to. It’s not just limited to TTC, we encourage all situations (adoption, surrogacy, PCOS, Endo, IVF etc), and I love how us women come together when it means receiving something in the mail that’s totally personalised, who doesn’t love receiving goodies in the post? Anyone who is currently trying to get pregnant, including those suffering from secondary infertility; those who have recently adopted, are in the process of adopting or searching for their new family member; anyone who is currently pregnant after dealing with infertility or recently having had a baby after a struggle and lastly, anyone who is using a gestational carrier, egg donor, sperm donor or surrogate. Even if you are taking a break right now, we would still love for you to join us! I know that breaks are a KEY part of this rollercoaster ride, you still absolutely need a lucky charm! Please note that I will do my best to partner you with someone who is in a similar stage as you are, however as this grows I cannot guarantee it. You may be partnered with someone in any category so I ask that you remember that the purpose of this is to encourage another TTC sister, no matter what their story is! Once you sign up and get the name of the person you are sending to (more details below), the two of you will connect via email and then you will work to put together an exchange box for them, including a lucky charm. You will be given a “send-by” date and I ask that you respect that date unless there are extreme circumstances. Typically the suggested amount per box is £20 inclusive of postage. I don’t advise that you spend more than £20 but we definitely do have some generous women who put together a box worth more. Since charms don’t typically cost £20 you are able to fill the package with ANYTHING else that might make someone smile! A cute notepad, a special treat,confectionary, a fun lipgloss or nail polish …. You can’t go wrong! It helps tremendously to ship your package via Royal Mail tracked and get a tracking number just in case anything should happen during transit. (Plus it comes with insurance!) I advise that you take a picture of the receipt once you send it so you have the tracking number handy, even sending it to your partner so they know when to expect it. Besides a pair of lucky charm is there anything else I HAVE to include? A note and a box worth about £20. Nothing else too specific – have fun with this! I just love that everyone includes card inside with a special word of encouragement for your new friend. Yep! We always have women from all over the world participate and I think that is what makes it so much fun! HOWEVER, you will only be assigned an overseas person if you agree to be open to shipping internationally. (More about that below). I do ask that if you live outside of the UK that you be open to shipping internationally, as many of the participants are located in the United Kingdom however I know that sometimes that’s not an option and that’s okay too. I will do my absolute best to make it all work out. Yes! This time we are changing things up and you will be exchanging with the same person you are sending a box to. What kind of charm do I need to send? You can get ANY kind of charm, Simple, flashy, subtle, something neutral or colorful. You can find it anywhere – I just ask that they are new portable. Don’t put too much pressure on yourself – this can be a trinket that you personally adore that you think someone else would love. Of course! We LOVE new participants and their friends. They don’t need to be a follower of my blog or instagram account (@fitness_and_fertility) to participate. Anyone in the infertility community is welcome to join in. We will be using the hashtag #TTCLuckyCharmexchange so feel free to share and let’s spread the love! You will need to sign up no later than Monday 4th August. That’s a FULL 3 weeks of time to sign up, spread the message and start brainstorming. You will then receive your exchange partner from me via email on either August 5th/6th (Because of the hours it takes to coordinate, I am not always able to get ALL the emails out on the same day. So if you see someone post that they got their person and you have not yet heard from me, it’s likely due to the amount of time it’s taking me to email everyone back. Do not panic!) Once you receive your person, you will have until August 21st to put together your or package and mail it out. Please make sure if you sign up that you are able to get your box out on time. This is the fun part! I would LOVE to see all of the posts where people show off their package! Post your charm to social media and tag it with #TTCLuckyCharmexchange so we can all peruse the pictures. Send a shout out to your person, blog about it, tweet about it, do whatever you want to celebrate this fun exchange! I do understand too that there are many women who are not publicly sharing their infertility journey with others so know that you don’t have to share it publicly in order to participate. The key thing is that we offer encouragement and support to one another, even if that circle stays small. If you tag me in your photo on Instagram, I should be able to see it, even if your account is set to private. Also, I will host a link-up blog spot in September so that we can see the packages as well! NEW: What general category you fall into – (A) trying to conceive, adopt, secondary infertility – all using the variety of ways to start a family (B) expecting – pregnant/adoption matched/carrier pregnant (C) – recently had a new family member join your family. If you feel that you fit in multiple categories, please simply use your best judgement. I will close the exchange at midnight on the 4th and will not be able to accept stragglers after that. 2. Wait to hear back from me! I WILL CONFIRM THAT I HAVE RECEIVED YOUR SIGN-UP EMAIL. If you do not hear from me within 48 hours, please check the email address you send it to and resend. (Also, check your spam filter to make sure my reply didn’t go there). If you have emailed and still haven’t heard back from me, leave a comment below with your email and I will connect with you. 3. Share! Let your friends know about the exchange! You can share my blog or instagram account so that they can find out more information. I feel awful when someone finds out “too late” and can’t participate so help me make sure no one gets left out. 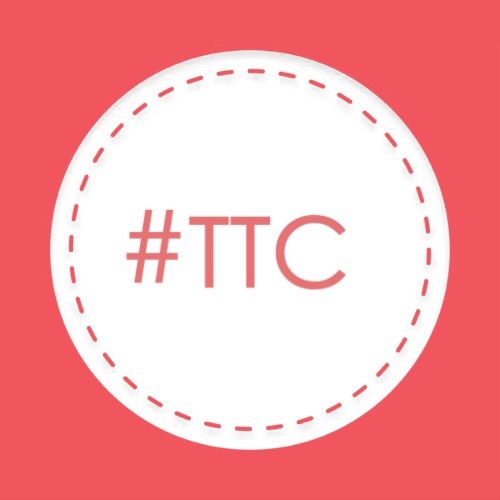 Again, use #TTCLuckycharmexchange to share – the more the merrier! Link up below if you post about it to your blog! We will do another link up once the package window is open. 4. Shop, write, smile and carry your charm! Once assignments go out, shop and send out your package with an encouraging note. Then wait patiently and enjoy your charm once it arrives. Share the thoughtfulness of your new friend! I have seen so many amazing friendships form as a result of this exchange. Phone numbers are swapped, emails are exchanged – I have even seen friends plan trips to visit one another due to the friendship formed over a simple package! I LOVE THIS PART! That’s it guys! I am so excited for this. These exchanges are among the highlight of my year and I am pumped! YIPPEE!!! !